George has always been passionate about theatre, but didn’t know it. As a young boy he was mesmerized by professional wrestling. “Rowdy” Roddy Piper was an early role model. Shortly thereafter, the explosive histrionics of Pete Townshend would supersede this Canadian icon. George’s attention later turned to American theatre. Jello Biafra became a seminal influence. 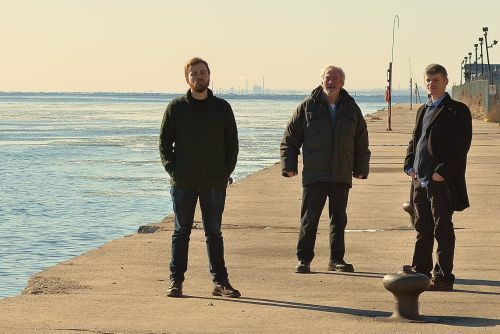 The “Do It Yourself” ethic was firmly embraced by Perry, and he ventured into the vast repetoire of artists like Paul Westerberg and Steve Albini. As a young adult, he was re-introduced to the works of Townshend. His then girlfriend, Michelle, was hugely impressed by the theatrical production of The Who’s “Tommy”. He meandered through factories, schools, border towns and Michigan for a very long time afterwards. He eventually landed in Toronto. All these influences were brought together in one kettle when George discovered Mooney on Theatre. He understands and personifies that theatre is indeed for everyone. To further this end goal, he contributes. 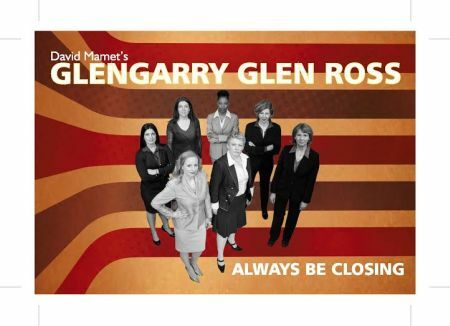 At first glance, mounting better than this at Theatre Passe Muraille in Toronto during the Christmas season may seem like a gigantic scheduling error. 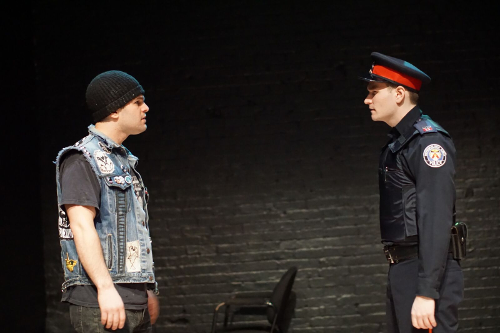 After all, on the surface it is a play about drug addicts, punk rock and young lives unraveling. If you dig a little deeper, the undercurrent here is love. Like the holidays, this play is about building bridges and gaining an understanding with those who are less fortunate or different than ourselves. It’s true that when you give, you get back so much more in return. And if you go see better than this, I am sure that you will be richly rewarded for your time. Have you always wanted to visit Israel but never had the opportunity? 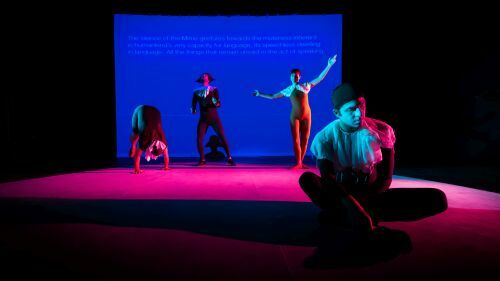 Then head down to Toronto’s Berkeley Street Theatre, and take in a performance of Wrestling Jerusalem. Aaron Davidman gives voice to 17 different characters from all walks of life in this play, introducing us to men, women, Jews, Muslims, and soldiers. 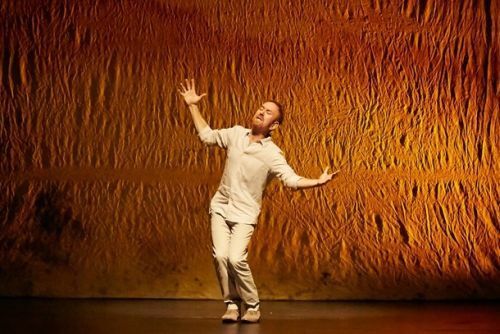 After seeing the 90-minute play I had an image of Israel that was vivid, hopeful, empathetic and, hopefully, long-lasting. Are tattoos simply ink embedded in skin, or do they represent something more? Are they art? Symbols of rites of passage? Coping mechanisms that help people celebrate milestones in one’s life or deal with our difficulties? These are some of questions that playwright D.J. Sylvis addresses with Inked Heart. 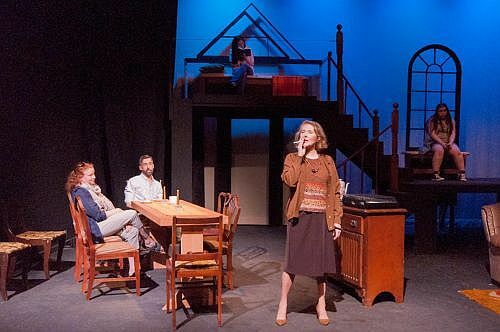 The play is currently onstage at the Alumnae Theatre Studio in Toronto as part of the FireWorks Festival. Enthusiastic Beatles and John Lennon fans recently enjoyed an evening of storytelling and timeless music at Toronto’s Helen Bader Theatre. They flocked in droves, because the touring production of Lennon: Through a Glass Onion was in town. Created by John Waters and Stewart D’Arrietta the “simple” production included two performers, a piano and a guitar. 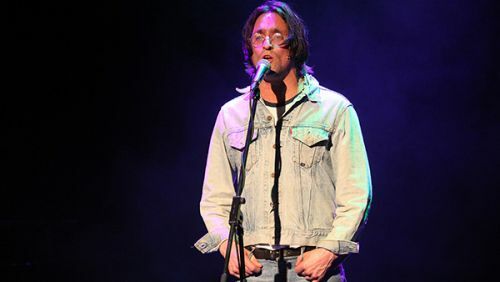 In addition to D’Arrietta tickling the ivories, Daniel Taylor summoned up the persona of John Lennon, assuming John’s voice, mannerisms and personality. Christmas classic, on stage in Toronto, is a “feast of multi-layered talent”! Remember that twinge of guilt you felt at school the day after blowing off your homework? I feel something similar about never having seen the classic movie It’s A Wonderful Life. So I jumped at the opportunity to see It’s A Wonderful Life: A Live Radio Play at Lower Ossington Theatre in Toronto. Stan, my guest for the evening, was also guilty: he hadn’t seen the Christmastime film classic either. 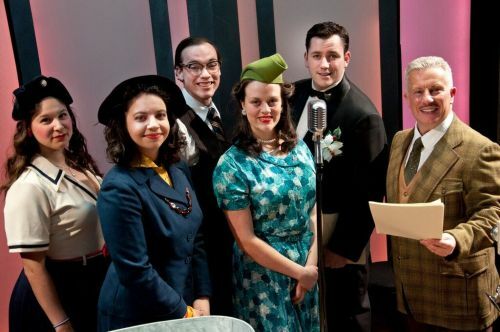 As we walked off the streets of 2015 Toronto, up a flight of stairs, down a hall and into the theatre, we were transported to a 1940s radio studio in Manhattan. We were immersed in a beautiful way: there was bleacher-style seating on either side of a radio “pit.” Three microphones, two tables and various props comprised the stage. 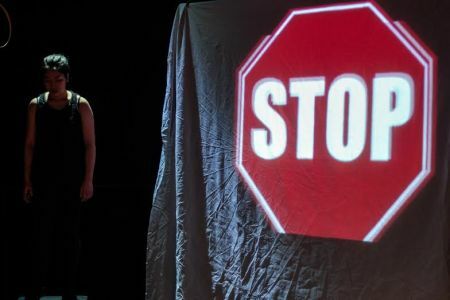 Recently I was fortunate enough to visit one of my favourite venues in Toronto – Alumnae Theatre – and finally saw a sure sign of spring: The annual New Ideas Festival. It’s as much reminder of spring and things just around the corner as the date on a calendar. The New Ideas Festival is everything that is right about theatre. It’s also as exciting and optimistic as spring. Now in its 27th year, the festival fosters new ideas and theatre talent, inspiring actors, directors, playwrights, designers, technicians and, of course, audiences. This year more than 120 artists will stage 12 plays and present 3 readings over three weeks. Now this is the type of positive energy that means spring is in the air!